The Days Inn Davenport hotel is near many attractions, including, Rhythm City Casino. John Deere Commons, and Rock Island Arsenal Museum. In addition, North Park Mall, Putnam Museum/Imax Theater and the Davenport Airport are close by. The Days Inn Davenport hotel offers a great location for summer festivals like the Quad City Air Show and Bix Beiderbecke Memorial Jazz Festival. The hotel is next to the award-winning Machine Shed restaurant. This Davenport smoke-free hotel offers a free deluxe continental breakfast. 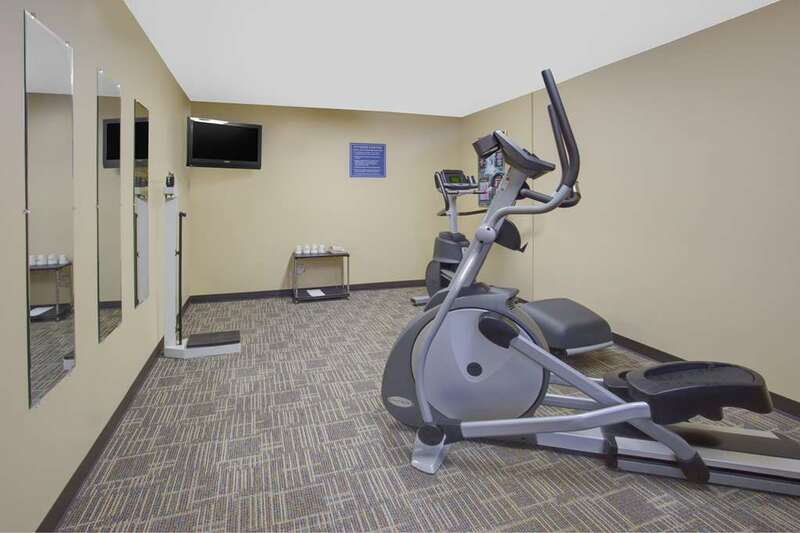 Additional amenities include a rec room with pool table and a big-screen television. This is a pet-friendly hotel - additional charges apply. Executive rooms feature spacious work desks for business travelers on the go. Two-room suites with whirlpool bathtubs are available for that special occasion.